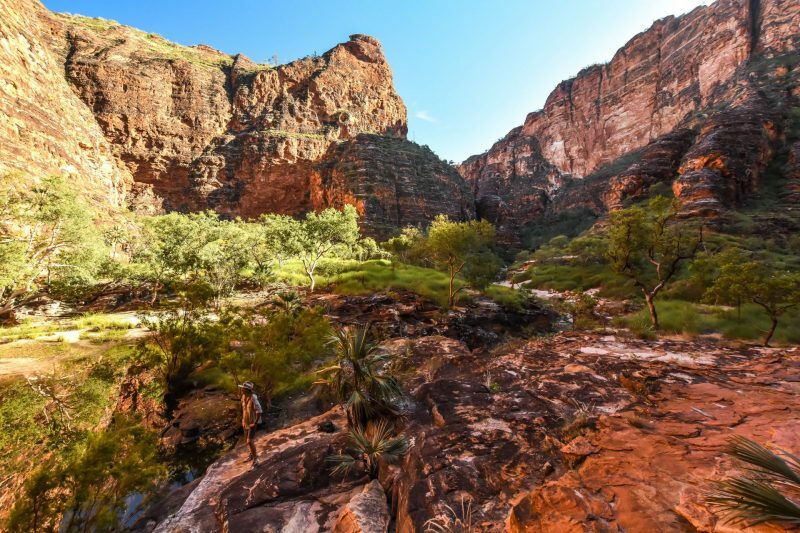 Start your day of unique adventuring at the HeliSpirit Office (Purnululu National Park), where you will meet your guide. 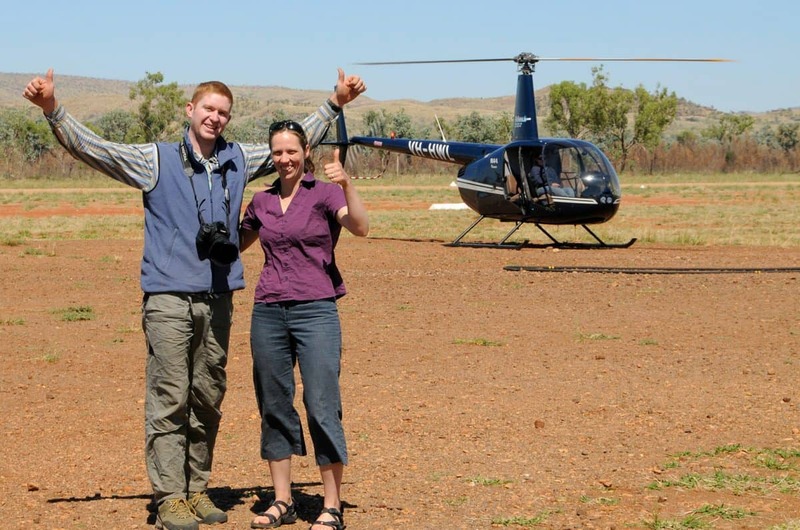 After a short briefing, you will board a helicopter, which will take you over stunning views toward the south west end of Purnululu National Park. Once reaching Y Gorge, you will soar across the top of the enormous massif to your landing place, at the beautiful Piccaninny Gorge. From here, you will be led on a challenging, yet highly scenic 10km hike up the rocky creek bed of the Gorge. At points, this hike sees you and your guide creating your own path, as this is an infrequently visited area of the Park. 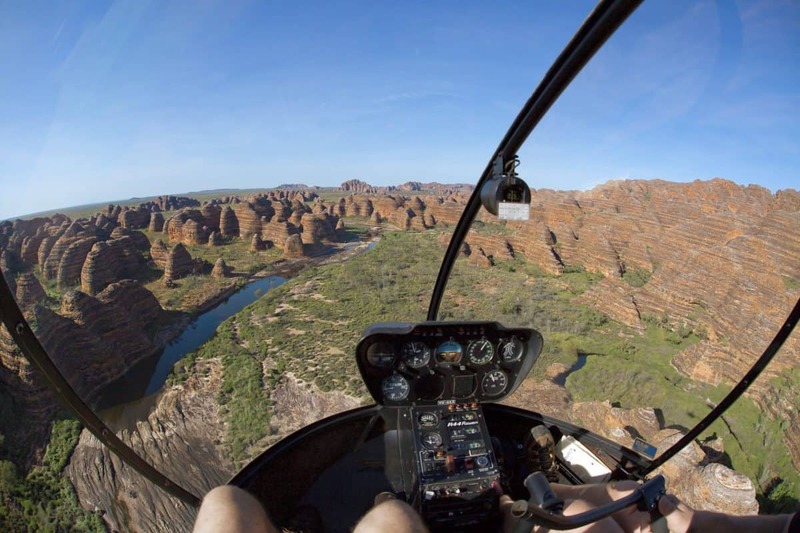 After exploring , your return helicopter flight will continue along the southern face and will allow views of the mouth of Cathedral Gorge, as well as the famous orange and black beehive shaped domes. We recommend that this hike be taken by those with a high level of fitness and full mobility. 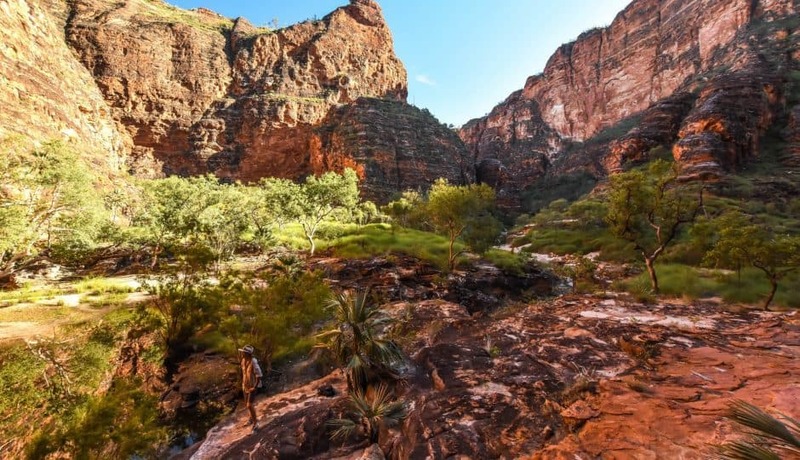 • Piccaninny Gorge is classed as a level 5 walk, the hike requires a high level of fitness and mobility. Walking poles can be brought on the tour but we recommend being able to keep your hands free when climbing over rocks.